Two things…first off, “Milk” is AMAZING. Saw the 10PM showing last night, and I was spellbound. I completely forgot that I was watching Sean Penn, and if he doesn’t get an Academy Award nomination, it will be a travesty. Second, I know it’s cliched, but this year, I have so much more to be thankful than usual. It’s been such a trying year, and a lot of things have been thrown at me that I didn’t expect, but at the end of the day, I lead such an extraordinary life, and I have no complaints. I am thankful for the friends and family that honor me with their presences in my life, I am grateful for the beautiful surroundings that I live in and enjoy on a daily basis, I am appreciative of all the good fortune that finds its way into my life, and I am humbled that folks like yourselves come here to read about what’s on my mind regarding music. No matter how tough the trials and tribulations are that I go through, I would not change a thing. All the good and bad things that have occurred brought me to this very moment, and I can’t think of any other place I would rather be. The next month will see a lot of releases as the music industry attempts to wring every penny that they can out of the holiday season. I know I went off on a bit of a rant the other day, but the moral of that story is PLEASE, whenever it is possible, support your local music shops. My cynical side says that it is only an exercise of futility, but every sale counts. Wouldn’t it be nice to go into a shop to pick up that Killers CD, and actually have an associate or cashier who listens to the music, and can recommend some great underground group that you’ve never heard of? Yeah…novel concept. 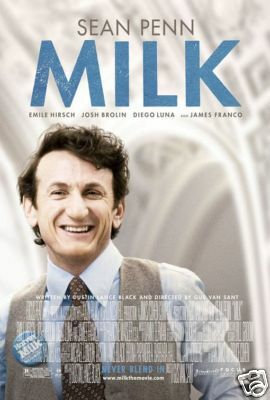 I really want to see Milk. I bet it has a shot at a best picture nomination–probably the first so far this year (it’s been an off year for movies). I hardly ever see movies, so I lucked out. “Milk” and “Wall-E” are the only two I’ve seen in theaters this year.